You don't need to be an expert; you just need the basics. Aeroplan 30% Bonus on Points Transfer from Hotel Partners. Aeroplan is once again offering a bonus for transferring your hotel points into Aeroplan Miles. 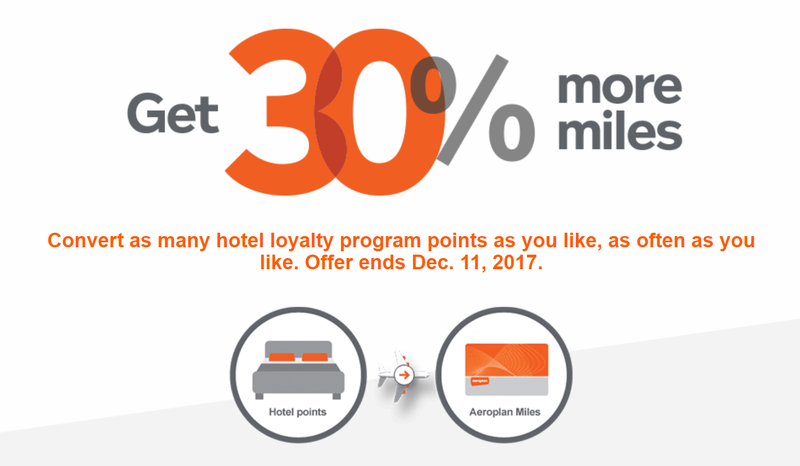 Aeroplan is offering a 30% bonus on all points transferred from partner hotels to your Aeroplan loyalty account from now till December 11, 2017. Aeroplan, the loyalty program for Air Canada has an extensive search engine for finding flights not only on Air Canda, but with all other Star Alliance members. The qualifying hotel partners is extensive with Hilton, SPG, Marriott and many others. To see the full terms and conditions of this promotion head over to Aeroplan for more: Click here. The editorial content on this site are that of the author's alone and not provided by or reviewed, approved or endorsed by any company, including but not limited to banks, credit card issuers, airlines, hotel chains, airport lounges or travel service providers.